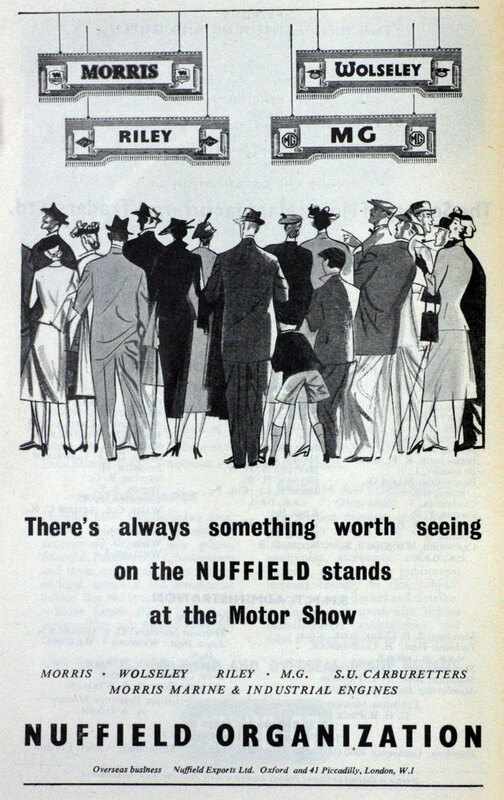 Car manufacturer, of Oxford, Swindon, Abingdon and Birmingham. 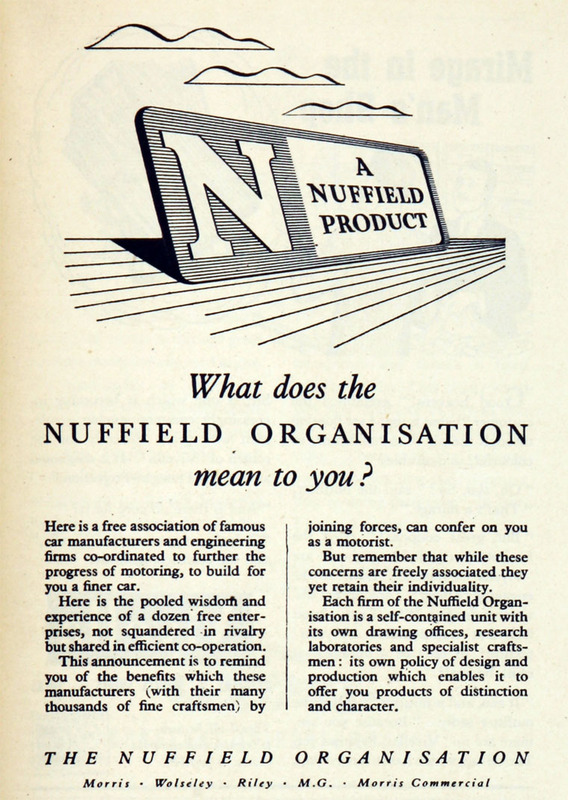 The Nuffield Organization was an automobile manufacturing company named after its founder, William Morris, 1st Viscount Nuffield. 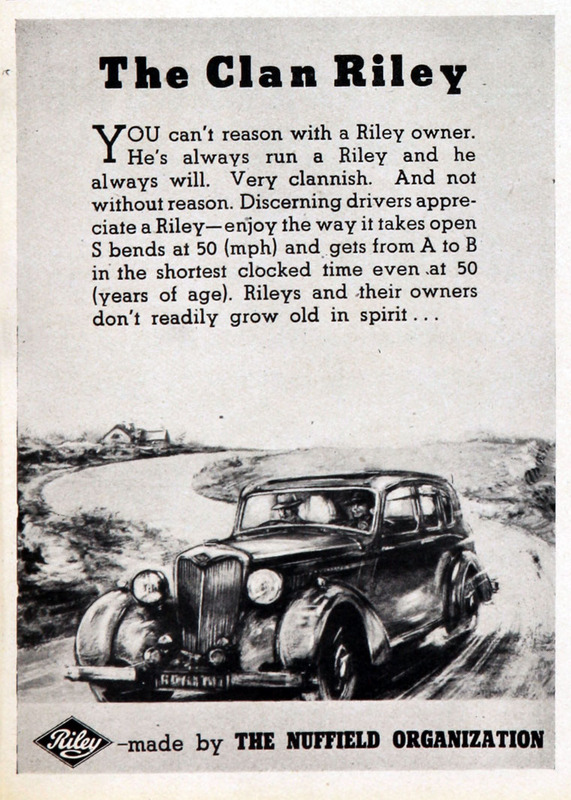 1938 Lord Nuffield purchased the bankrupt Riley (Coventry) and Autovia companies from the Riley family and quickly sold them to his own Morris Motor Company. 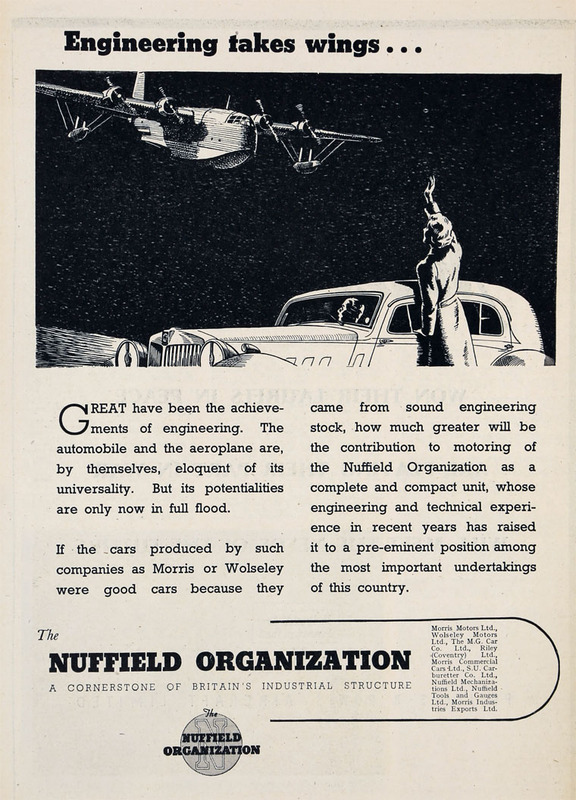 With the addition of Wolseley later that year, the combined enterprise became known as the Nuffield Organization. 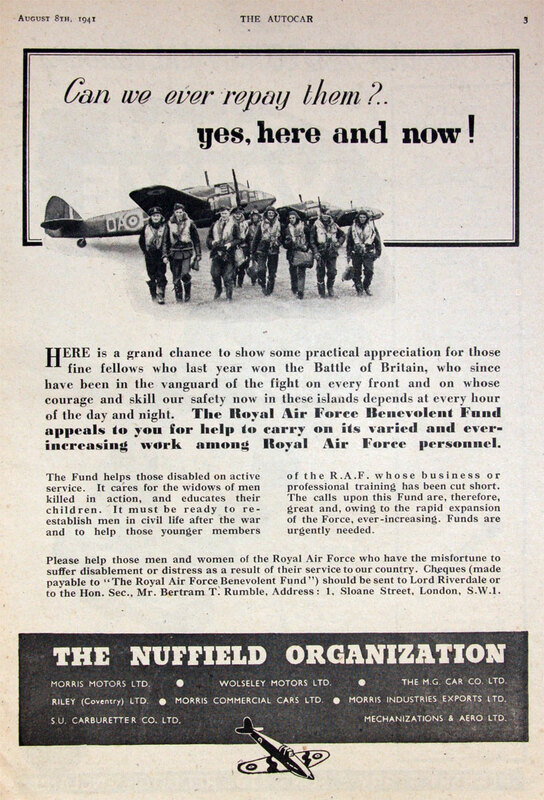 WWII: The Nuffield Organization was engaged in military production. Among their activities was production of the Liberty L-12 engine for use in British tanks of the period. 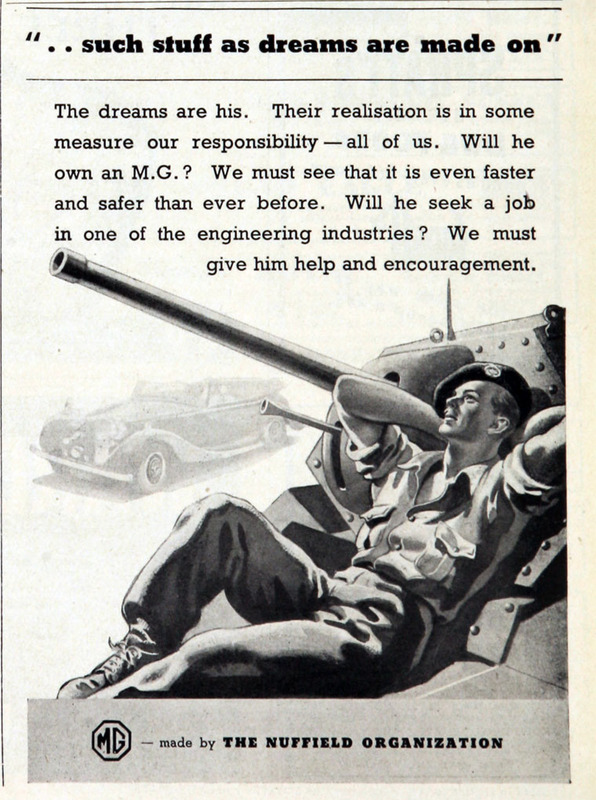 In 1939 one of their subsidiaries was given the opportunity to take part in production of the Covenanter tank then being designed but opted to develop their own version of the design which became the Crusader tank. They followed this with the Cavalier tank which used the Liberty engine as well. The tank was built but the power of the Liberty was limited and, with the increase in tank weight, the Cavalier was not used in combat. The last tank the Liberty engine was produced for was the Centaur tank, effectively an underpowered Cromwell. 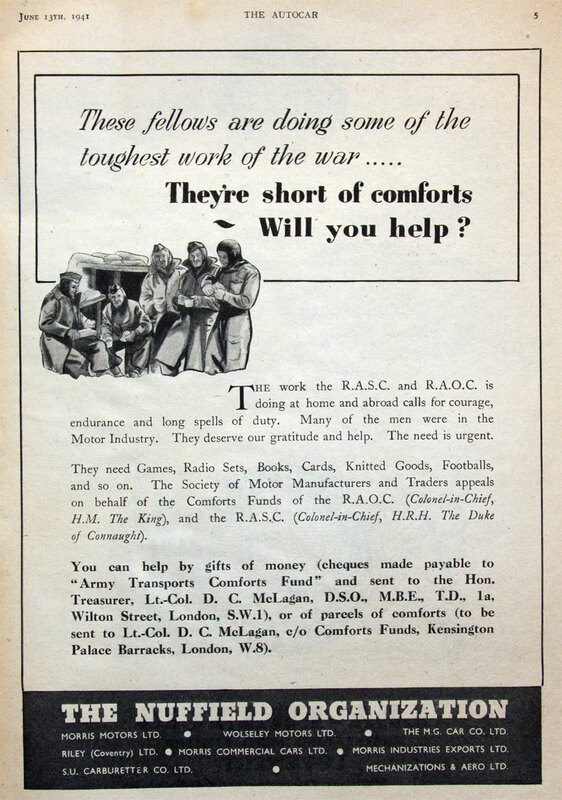 Commercial vehicles in the Morris range were produced for military use - such as the Morris C8. 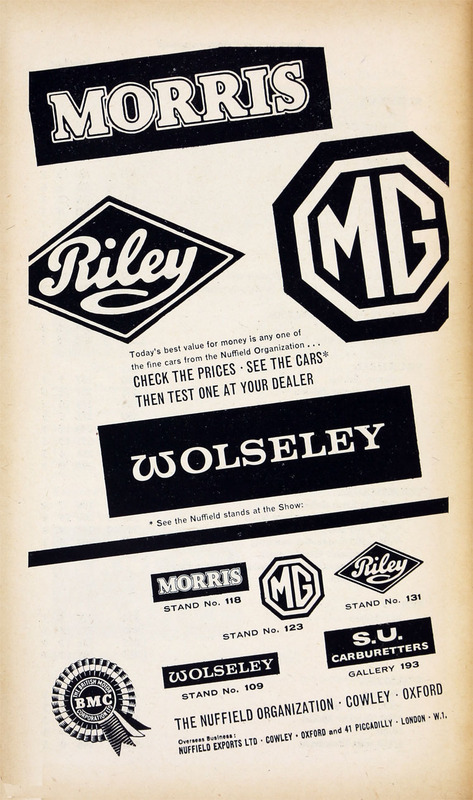 Automobile production of Morris, Wolseley and Riley marques restarted in the 1940s. 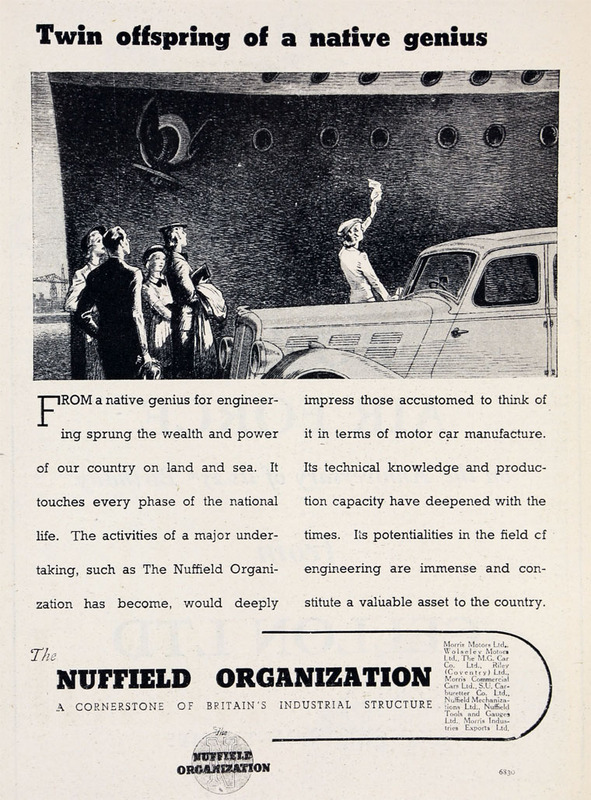 Post war, Nuffield started on tractor production with the 1948 Nuffield Universal. 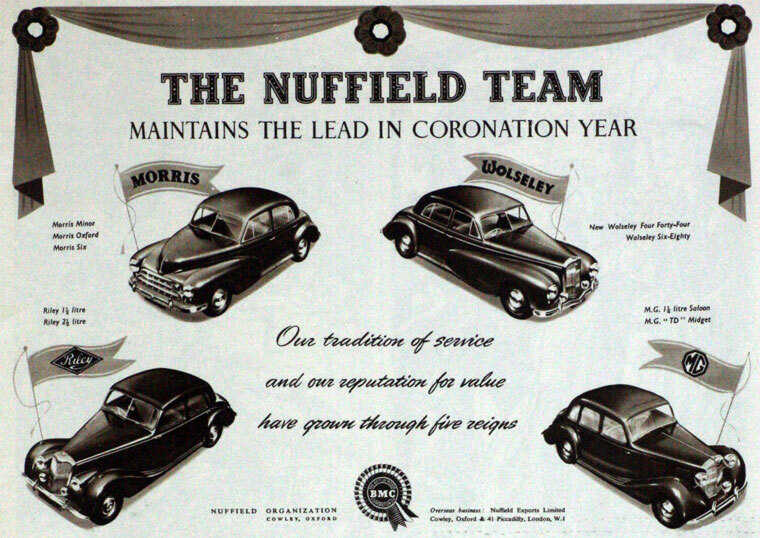 1952 The Nuffield Organization merged with Austin to form the British Motor Corporation. 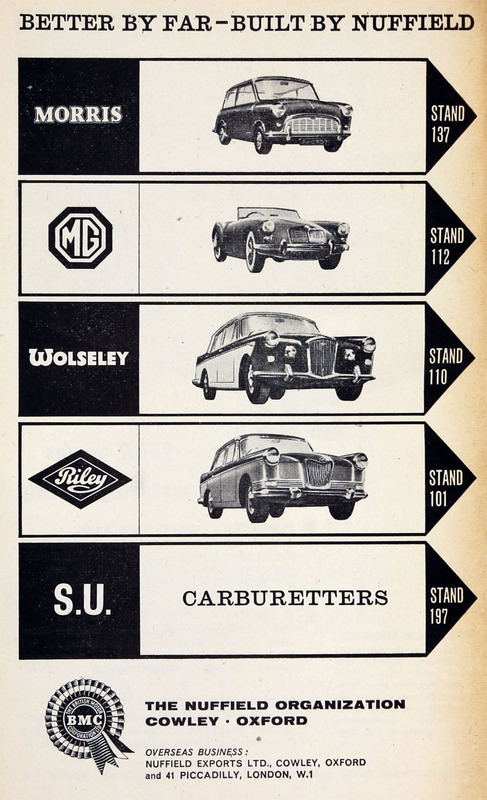 1966 British Motor Corporation merged with Jaguar to become British Motor Holdings. 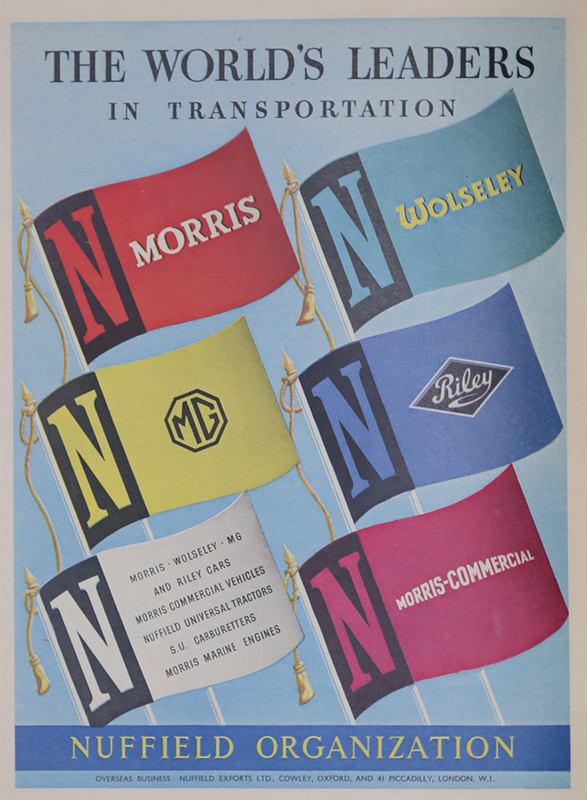 1968 British Motor Holdings, still struggling, merged with the prosperous Leyland Motor Corporation to form the British Leyland Motor Corporation. This page was last edited on 28 October 2018, at 15:01.